Looking for a private tour that leaves Naples that takes in the famous ruins of Pompei, gorgeous Sorrento & finally romantic Positano, bringing you back to Naples… All in one day? With a professional, private & reliable driver who speaks your language and can assist you? LIS’s private tours are exactly what you need! Paolo and his staff are at your disposal. Book your tour from Naples Now. An english speaking driver from the LIS team will pick you up in the pre arranged place. Heading south on the A3 motorway Naples-Salerno. 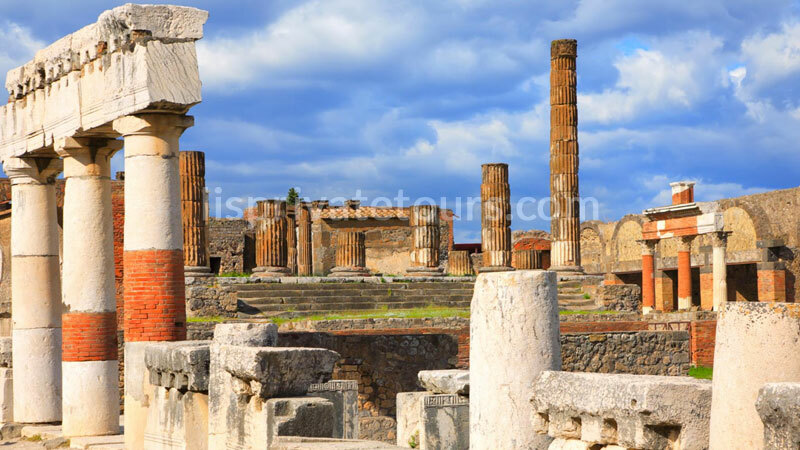 After about 30 minutes we will arrive at the world famous archeological site of Pompei (part of UNESCO) where you will be able to visit the mosaics & frescos, the roman villas, theaters etc of this ancient city. Buried by molten lava from the catastrophic eruption of Mount Vesuvius more than 2000 years ago. This devastated the whole area including Herculaneum, Pompei, Torre Annunziata, Stabia etc. You can see first hand how the people lived, with the help of an authorized guide, who LIS will arrange on your behalf. 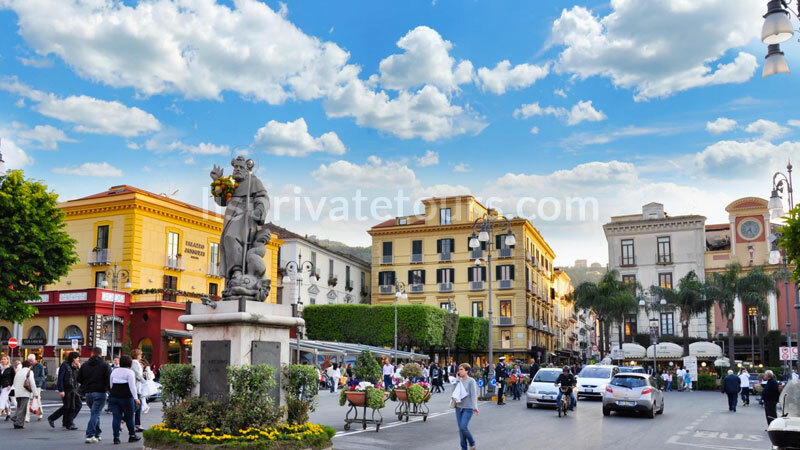 After you have finished here, a 45 minute drive will take you to Sorrento, where you will have free time to wander the lemon and orange lined streets, and look out at the amazing panorama over the blue waters of the Mediterranean. 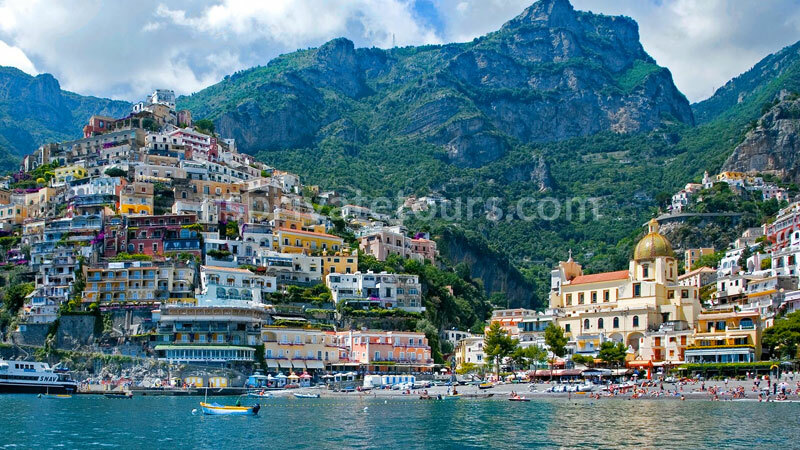 Leaving Sorrento behind we will head off to the pearl of the Amalfi Coast – Positano. Looking upwards from sea level, Positano is made up of an array of colored houses, resembling a traditional Neapolitan nativity scene. We will drop you off in “Piazza dei Mulini” where you can have free time to explore the town. We recommend that you follow the narrow streets down to sea level where you can take in the view of the famous Galli islands while sitting in a bar sampling the local tipple – limoncello. Then do a stop of shopping in the small artisan shops dotted around Marina Grande. Finally sit back, relax and enjoy the scenery while we transfer you back to Naples. Discover the charm of Capri, the beauty of Sorrento, the beautiful Amalfi Coast or the ancient history with a tour to Pompeii and Herculaneum. If you are a lover of the test food our gastronomic Paestum tour and Amalfi Coast.